Welcome to my ReBARKably Scent-able Canine Course! Scents and canines just go together naturally don't they? We are BONE-afidely, reBARKably, SCENT-ABLE beings. You didn't really think a HUMAN could teach this course did you now??? Good bepaws a DOG is what you are getting (my human just does the typing for me), WOOF! Besides, who better than a canine to teach a canine course ruh? Our noses are the center of our universe from the time we enter the world. So doesn't it just make plain, old common SCENTS that a canine (aka dog) would be the BEST instructor on how to BEST use essential oils* with your dog? My name is Shadrach, and my breed is Neapolitan Mastiff (Neo for short). We are a very old breed of the molosser family (not molasses spellcheck, WOOF!) - my human is VERY fond of all the molosser style breeds..but I digress bepaws I could talk about dogs ALL day long! For this course I am going to focus in tightly on our noses, our sense and SCENTS-ability, and how my human and I have used essential oils to benefit not only me and her other canines, but to help others be able to do likewise with their own dogs. ***Please Note***This class is based on the use of Young Living Essential Oils with the Christian faith as the foundation of all that is taught within. The American Council of Animal Naturopathy is privately owned and operated, not government funded. NOTE: Even though the American Council of Animal Naturopathy is a privately owned and operated entity, we still uphold the first amendment in respecting and protecting the religious liberty rights of our instructors and students of all faiths or none. You may find statements within the books, articles, audios or videos within the class work that speak of personal spiritual beliefs of the author or speaker. 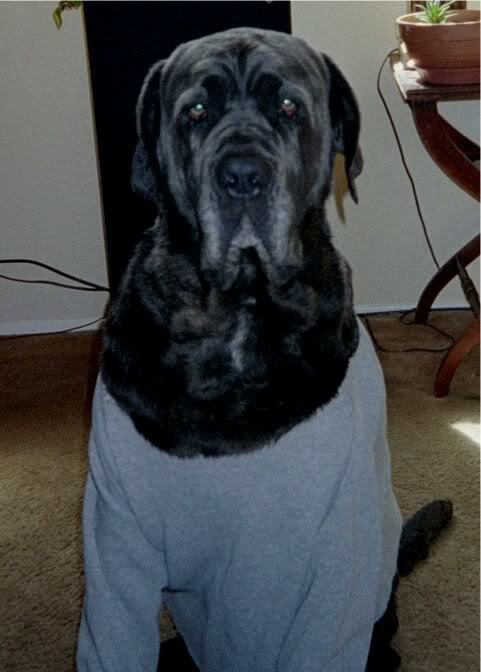 Photo Attribution: Shadrach the Neo Mastiff by Dr. Kim Bloomer, Copyright ©2010, All Rights Reserved. Section Two: The Nose Knows! I Can't Stand That Smell! Section Three: Get the Funk Out My Muzzle!! Ditch the Toxic Cleaning Products for Pets Sake! Pests, Parasites, and Bugs, OH MY! What Sets Young Living Apart?